Apple’s latest software update to the iOS brings in a lot of tiny and big features. We take a look at some of our favourite ones. Since iOS 12 was deployed to the public after sitting in beta, we are pretty sure most of you might have updated your iOS devices. Now that most of us are running our iPhones (and iPads) on iOS 12, let’s explore some of the most interesting features and a few tips on using the latest piece of software from Apple. All these years, every single notification on iOS devices would stack up and create an endless list if you were among the popular ones. iOS 12 onwards, your notifications will be grouped together just like Android. However, you will get much more control than what Android offers currently. Grouped notifications is a default feature and if you wish to tweak around with it, then you can do so by opening up the appropriate app and going to Notifications. The advantage here is that you get to decide whether you want all the notifications bundled together or based on individual users. For example, if you’re using WhatsApp on Automatic, your text messages will have different stacks for individual users. If you switch that to By App, then all your text messages will be grouped into a single stack. You can switch off grouped notifications completely to go back to the old list. Apple has also included quick settings for notifications right on those notification stacks. All you need to do is use Force Touch to activate the quick settings where you get two options to “Deliver Quietly” and “Turn Off…”. The first option will send the notification directly to the Notification Center and the second one will mute its notifications entirely. Traditionally, to edit text, you would have to tap the specific area and then begin typing again. On iOS 12, this process becomes a single step. Force Touch on the keyboard while typing and the keyboard will turn into a virtual trackpad. Now, you can drag your finger on the virtual area to move the cursor to wherever you want in the text body. The Do Not Disturb feature got a tiny but useful update. Now, you can switch your device to the DND mode right from the Control Centre. You have to Force Touch the DND button that will pop up a list of options depending on the time of the day and location. For example, if it’s the night time, it will ask you whether you want to enable the mode for an hour or until morning or according to your fixed schedule. This can be added from the Settings app along with enabling or disabling other important options. 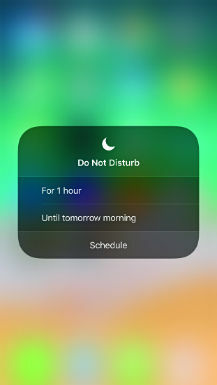 You can also enable the new Bedtime feature that has been introduced in iOS 12 where the lock screen dims down and all your calls will be silenced while your notifications will directly appear in the notifications centre. Pro-tip, use the DND mode to keep notifications away when you’re recording your device’s screen. Siri Shortcuts is aiming to save your time by using voice commands. Several apps including the system default apps already support this feature. Head over to Settings > Siri & Search > Suggested Shortcuts > All Shortcuts. Here you will find all the possible shortcuts from your installed apps listed. 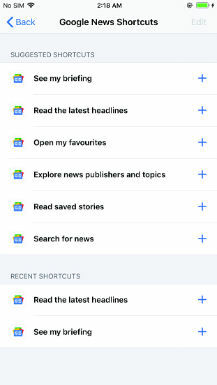 If you want to create a shortcut for view the latest headlines in Google News, go to Settings > Siri & Search > Google News > Shortcuts. You will find a few shortcuts listed including one to “Read the latest headlines”. Tap on the plus sign and record a voice command to trigger this shortcut. After the recording is saved, you can enable Siri and repeat the recorded command to read the latest headlines. Imagine having to do this manually by scrolling to the Google News app and then firing it up. It’s way easier now. If you want to push the limits of automating your tasks, download the Shortcut app. Similar to IFTTT and Workflow, these apps let you trigger one or a series of events based on your needs. You should check out the curated library where you will find already created shortcuts before creating your own. 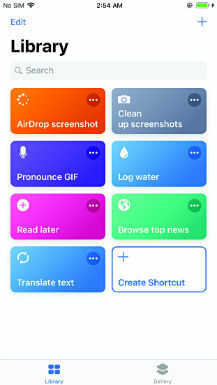 The best thing is these shortcuts can also be linked with Siri Shortcuts giving you voice control over them. Apple’s new Screen Time feature allows you to cut down the time you spend on your iOS devices. 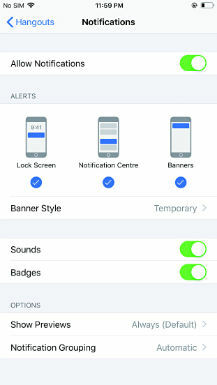 Setting up App Limits will enable you to limit the usage of certain apps based on the categories or all the apps. Go to Settings > Screen Time > App Limits. Here you can either choose all the apps and categories or pick multiple categories which we guess would mostly be Social Networking, Gaming and Entertainment. Next, you will add the time limit you want, say three hours, and you’re done. You can set the time limit for different days as well. If you cross three hours of usage, you will be locked out of the app. 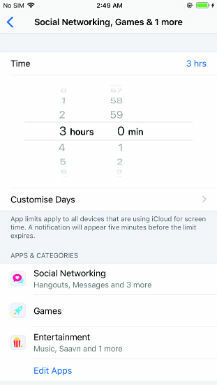 If not categories, you can also setup time limits for individual apps by tapping on the Screen Time widget and opening the desired app. Apart from individually controlling the time limits, you can also enable Downtime to restrict using your phone except the emergency apps. All you need to do is select the essential apps that you need to be enabled during the downtime by selecting Always Allowed from Screen Time. Then head over to Downtime in the previous menu and schedule the time away from your screen. Enjoy your peace of mind away from your phone. Weird Android apps that you must try!